Royal Chemical has four powder blenders, paddle and ribbon, with capacities of up to 7,000 pounds per batch. The blenders are equipped with spray bars enabling liquid additions and support a broad range of product types. Our volume position and outstanding supplier relationships enable us to keep raw material costs to a minimum and automated material handling systems ensure precision efficiency. Our powder blenders are supported by eight silos configured to accept high volume material deliveries by rail or bulk truck. 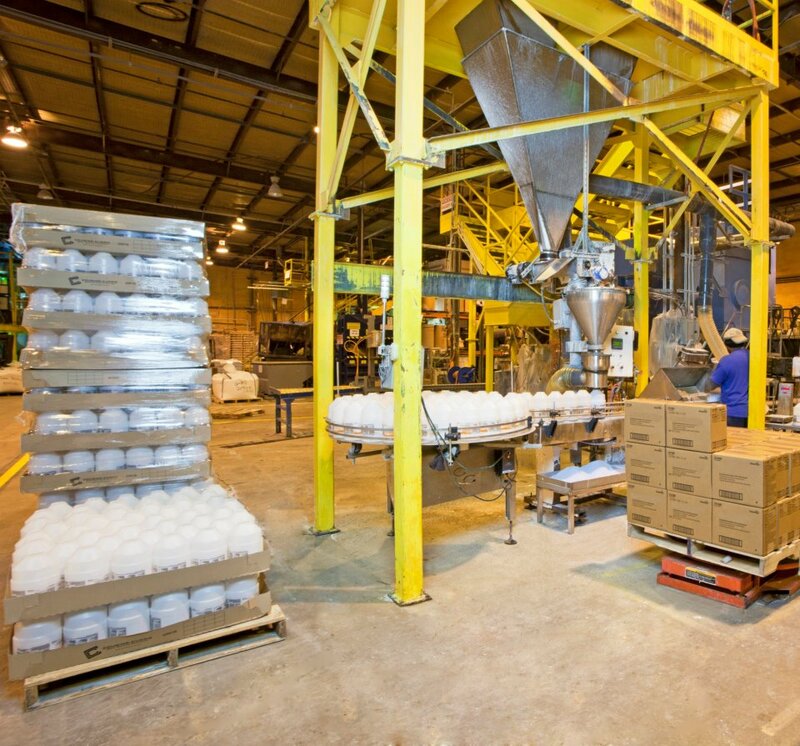 Once your product is blended, we can package in a variety of ways, from form-fill-seal pouches to bottles, bags, drums, and super sacks. Let us help you manage your inventory, warehousing and shipping as well. Have a powder blending question? We have the answer. What is the smallest lot size for powder blending? The minimum lot size for powdered products is 1,000 pounds. Are the capabilities of all five plants the same? The capabilities of each plant are fairly similar. All five plants are equipped for liquids blending and packaging while the Ohio facility is the only one which also processes powdered finished goods. What types of dry products are not a fit for Royal Chemical? 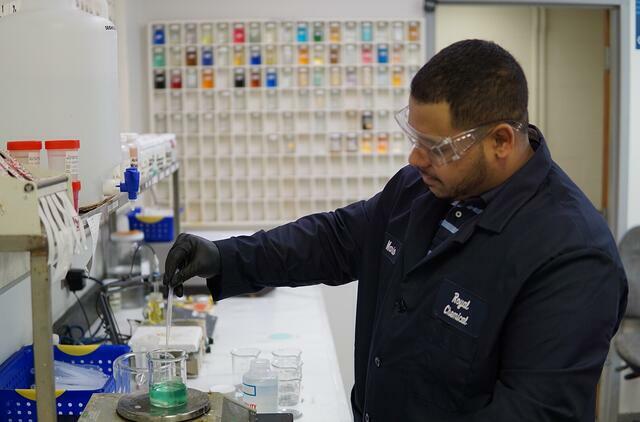 Royal Chemical is capable of blending a broad range of chemical products, however, no company is equipped to process every chemical safely. Royal Chemical does not process pellets, tablets, or combustible dusts.